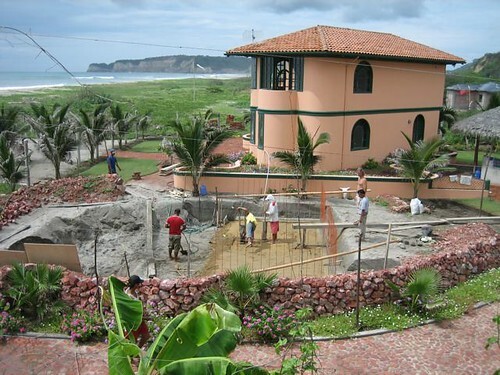 Yesterday’s message began a series on Ecuador beach property because I believe there is extra value on the beach now due to rumors that have scared some buyers away. This provides us with extra opportunity and life on a beautiful beach like this. 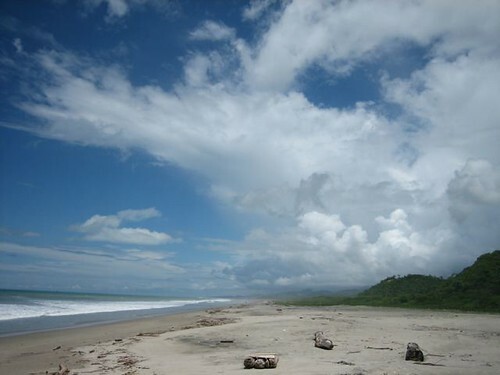 Ecuador beach north of Bahia. One recent rumor came from a BBC article entitled “Americas on alert for sea level rise” by James Painter the BBC Latin America analyst. Climate change experts in North and South America are increasingly worried by the potentially devastating implications of higher estimates for possible sea level rises. The Americas have until now been seen as less vulnerable than other parts of the world like low-lying Pacific islands, Vietnam or Bangladesh. But the increase in the ranges for anticipated sea level rises presented at a meeting of scientists in Copenhagen in March has alarmed observers in the region. Parts of the Caribbean, Mexico and Ecuador are seen as most at risk. New York City and southern parts of Florida are also thought to be particularly vulnerable. 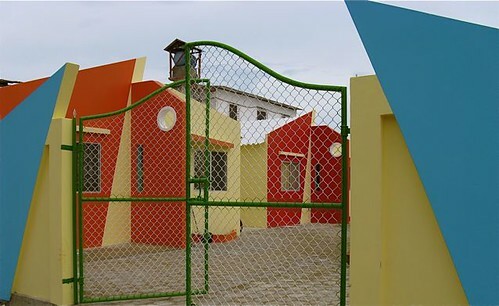 This sent shivers up the spine of many investors who had been thinking about buying on Ecuador’s coast. That is because they did not read the entire article. According to a recent World Bank study of more than 80 developing countries, Ecuador features among the top 10 countries likely to be most affected by sea level rise when calculated as a percentage of its GDP. 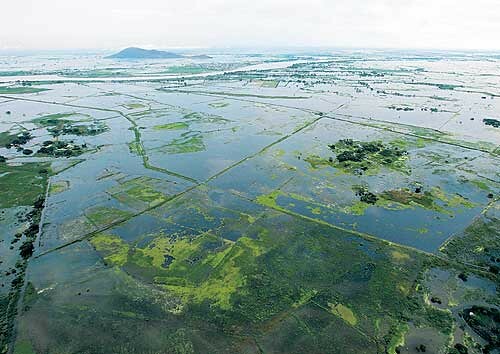 Argentina, Mexico and Jamaica also appear in the top 10 when measured by the impact of a one-metre rise on agricultural lands. New research led by Dr Jianjun Yin at Florida State University suggests that whereas South American coastal cities are not at threat this century from an extra sea level rise caused by Amoc, New York City and the state of Florida are. The coastal plains around the city of Guayaquil in Ecuador, the country’s main economic hub, are also known to be vulnerable to a combination of sea level rises, storms and sea surges. A recent study by researchers at Espol, a science institute in Guayaquil, suggested that even a half-metre sea level rise would put the storm drainage system in the southern part of the city under severe strain, possibly causing it to collapse. The concern about Ecuador’s coast is the rumor. Here is the news. 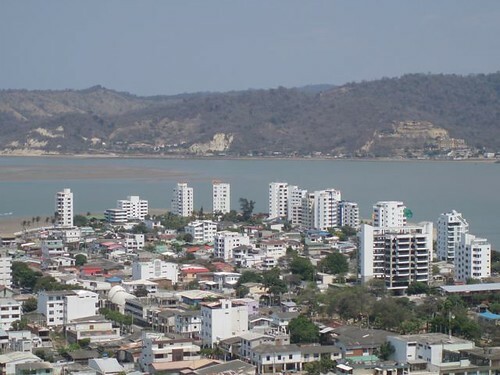 Guayaquil… which is inland is at risk… a huge economic problem yes… but not for the Ecuador beach cities. Should these rising water problems come true… the coastal cities in Ecuador may become even more important and valuable. Do not get me wrong… global warming may be a huge problem everywhere… but may not be a concern in our life times on Ecuador’s coast. 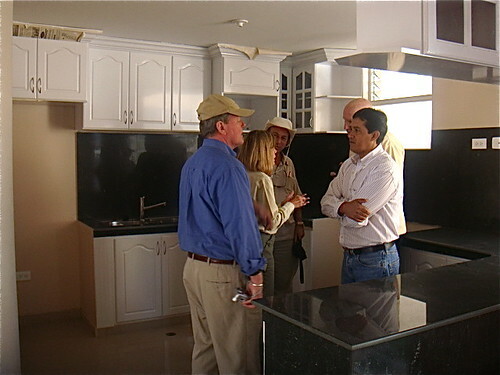 In fact as higher water driving people from Florida and Guayaquil could create opportunity for Ecuador beach property. I have put the address of the entire BBC article at the end of this message. 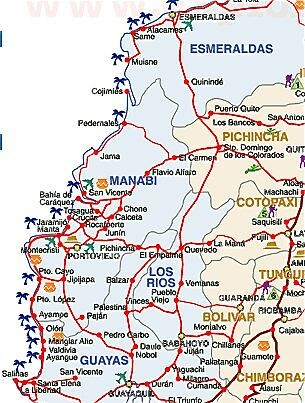 I am adding a stronger buy signal for Ecuador beach property and this week we are running a series looking at Ecuador beach areas from Salinas to Esmeraldas as shown on an excerpt of this Ecuador map. 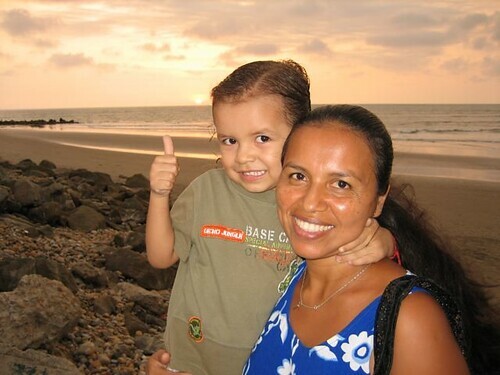 Those who have been reading our messages for any length of time know that I have focused my efforts on the middle portion of Ecuador’s beach from Manta to Bahia in the province of Manabi. 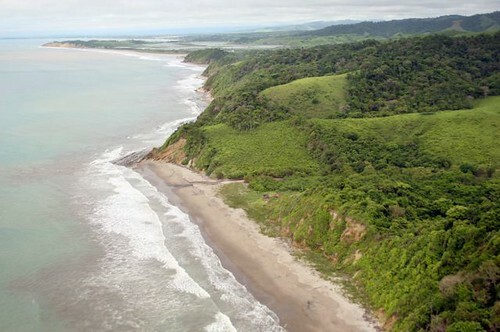 You can see why I consider Manta the key to Ecuador beach growth here. I checked water levels carefully before buying here. Last year before construction began, there were record rains. Much of Ecuador’s coast looked like this. The land where the condos were to be built looked like this. Here are the condos there now. See why I like these San Clemente beach condos any why I have invested in here. 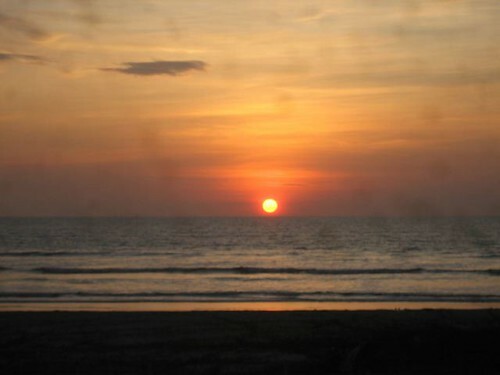 However there are many other great Ecuador beach areas I would like to share so I asked a few of the many contacts I have made, up and down the coast, to tell us more about the beaches where they are in Ecuador. Today we look north of San Clemente from Bahia… north with an article by Gary Swenson an American who lives in this area with his family and brother Larry. I have been an adventurer all of my life. 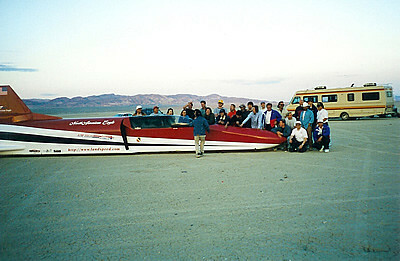 Driving race cars all over the world for a living and traveling the Pacific for four years with my sailboat. I found Ecuador on that four year Pacific sailing adventure. I had visited many countries in my work and exercising my passion. The people here made me feel like family. I have been here now for 8 years. We have been investing in North Coastal real estate for 7 of those 8 years, and have close to 30 properties on the beach. Some with a quarter acre, and some with as much as one mile of beachfront. 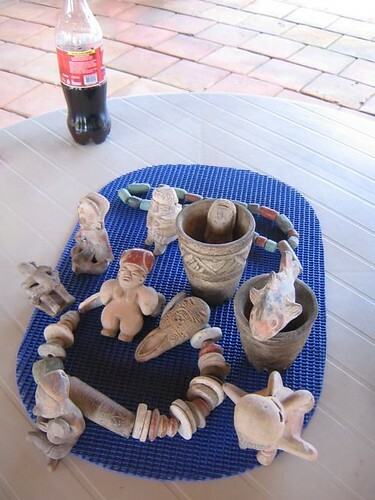 I have walked close to 50 miles of beachfront myself, searching for the most beautiful pieces, and as a bonus have also found many pre-Colombian artifacts just lying on the beach! Treasures found on the beach. 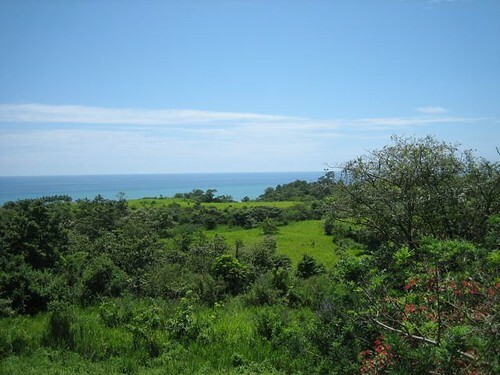 I have concentrated on the North Coast for one main reason, and that is that it is the last area of the coast of Ecuador that was mainly undeveloped, somewhat inaccessible, and the prices affordable. That is all changing right now! Many properties that I have purchased now have new coastal highways and roads being built right past them as they open up this coast. 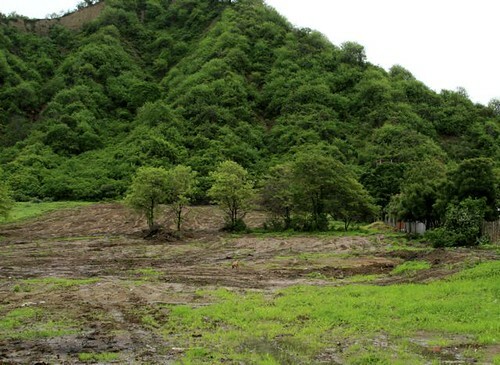 This area is slowly being found out by Ecuadorians, foreign retirees and investors alike. 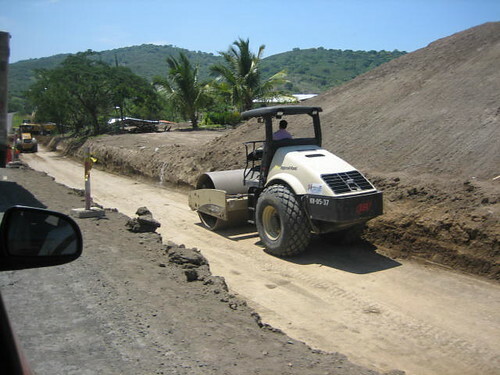 New road construction near Bahia. The President of Ecuador knows that tourism is a big part of the future here and is spending the money necessary to develop the coastal areas. 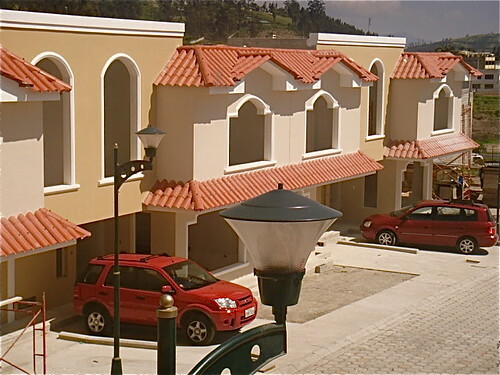 One of the largest developments in Ecuador is on the North Coast and largely unknown to the rest of the outside world is in Same (pronounced saw may). 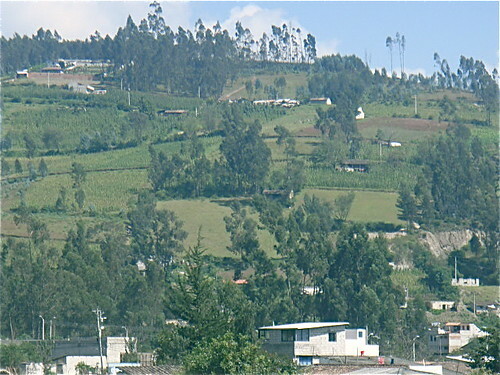 It is a sleepy tourist town (true for most of the North coast) that wakes up during Ecuadorian holiday times and vacation times for the kids from Quito. 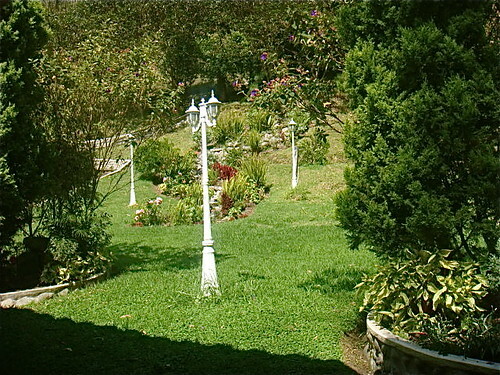 It is only 30 minutes from the Esmeraldes airport. Years ago Esmeraldes was a wild place and somewhat dangerous, but that was years ago. I find it safe and friendly, with better roads and infrastructure that is better than most of the rest of Ecuador. 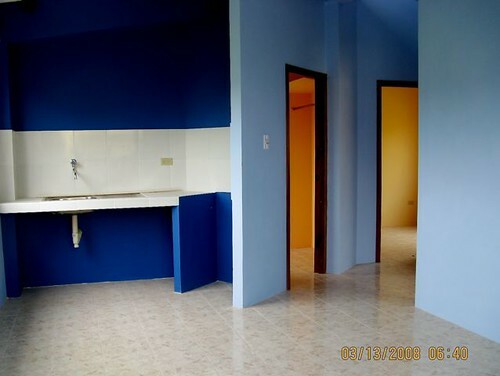 There are also other well developed areas such as Atacames (pronounced otta-calm-es), Sua (Sue-ah), Pedernales with high rise condos and hotels. 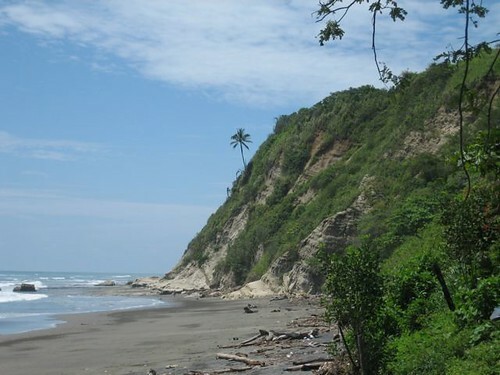 Then there are hidden gems like, Cojimies with miles of coconut plantations lining the beaches, Mompiche, Estero De Platino and Canoa with great surfing, and Jama/ElMatal for kite boarding, river rafting, and just relaxing if you like. More Ecuador beach north of Bahia. 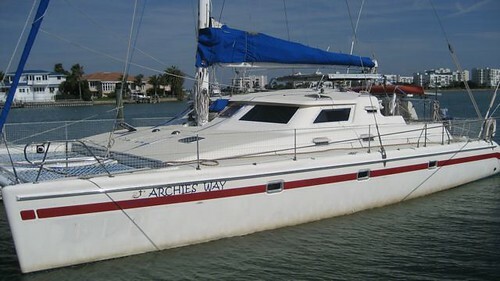 Bahia De Caraquez with a laid back Mediterranean feel and an international Marina, great schools and theater. This coast has great diversity and friendly people where you can walk most beaches any time of the day or night safely. With your choice of miles of virgin beachfront to choose from. 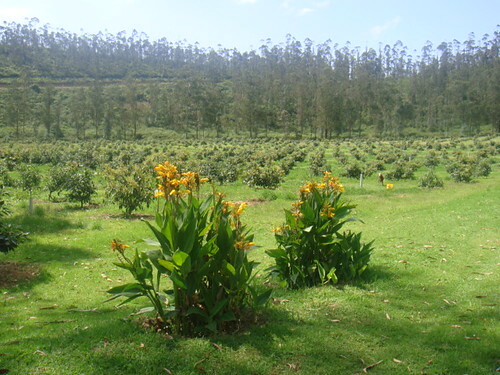 This North coast also has many mini climates from a dry tropical climate equal to Santa Barbara, California in the spring with no humidity to a more lush semi wet tropical, lush green terrain all year long. 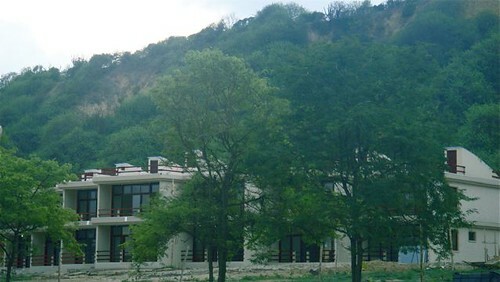 There are also a few larger towns with night life, restaurants, hotels and touristy things do do in between the many friendly small towns with just a restaurant and hostel. 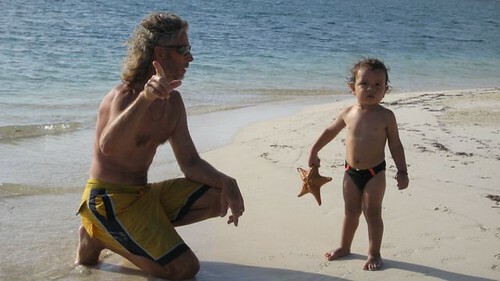 Gary Swenson and his son Archie on the beach. Here you can find whatever type of beach that you would like to live on. From high banks with a bird’s eye view overlooking miles of coastline while watching the whales and dolphins play in the swells, or fishing, to low lying sandy beaches that you can walk and wiggle your toes in for miles! Yes, you can find what your heart desires here. To get to the Bahia area you fly into Quito and take a short 1/2 hour flight to the Manta airport and then a 1 hour taxi or bus ride to Bahia. 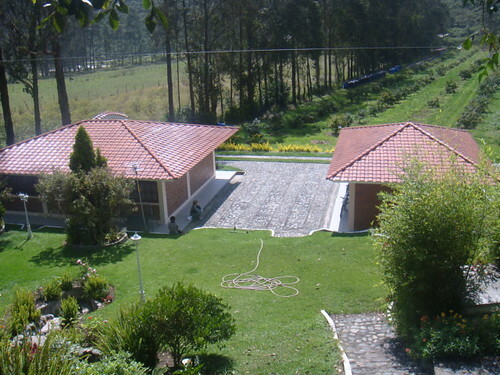 To Esmeraldes it is a half hour flight from Quito. The airport in San Vicente is in the middle of a dispute with the city and is supposed to be resolved this year and restart flights from Quito. I have eaten at just about every restaurant in Bahia, San Vicente, Canoa, Jama, and others further north and rarely have a bad meal! The average cost of a lunch (almuerzo) including fresh seafood, chicken or meat, small salad, rice, beans, soup of the day, and fruit juice is between $1 and $2, and the food and juice is all fresh! Nothing out of a can here. The population of Bahia and the surrounding areas is around 20,000 but you would never know it as it is a tourist town and only fills on some weekends and holidays. 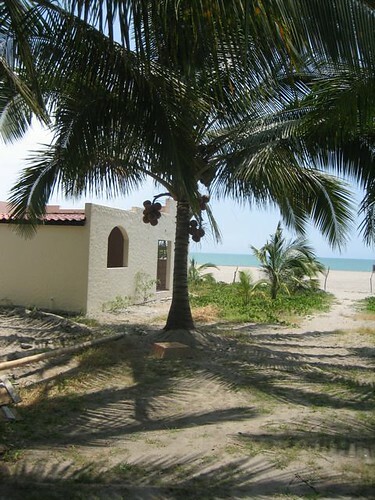 The weather from San Clemente/Bahia to just north of Pedernales is a dry tropical climate and is similar to the climate of south central California in the spring/early summer. It averages 75 to 80 degrees and very low humidity, and a nice sea breeze for 7 months a year. We have 2 months that they call the rainy season that we have a 1 or 2 hour rain at night maybe twice a week. Very seldom does it rain during the day. This time of the year it averages 80 to 95 degrees and is slightly more humid. Then there is what the locals call summer when the temperatures are 70 to 75 degrees every day and mostly cloudy with a little afternoon sun. It could be true that Ecuador has the best climate in the world! Ecuador beach sunset near Jama. Gary Swenson’s family on the beach. 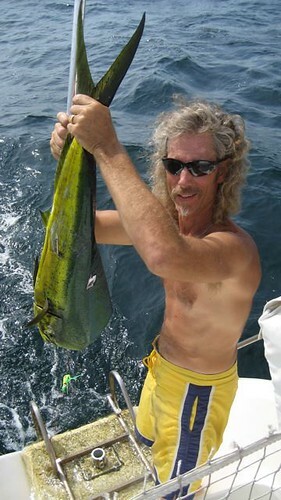 Gary Swenson and his brother, Larry, own an Ecuador beach development at Coco Beach Village. Gary & Larry Swenson’s project. 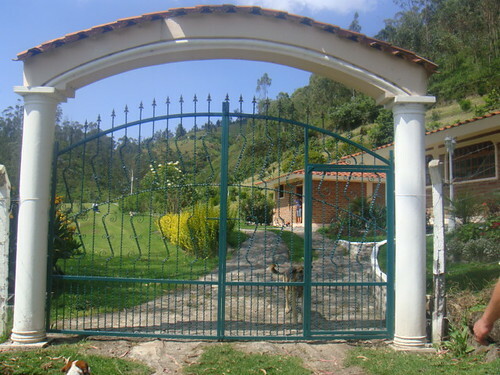 They have a gated community of 1/4 acre beachfront lots with homes that start at $99,000 with underground utilities, tennis courts, swimming pool, clubhouse. This is in the friendly Jama/El Matal community on Ecuador’s beach. Your own hammock near Jama. Until next message, good global investing. Our 2-4-1 offer expires in three days. 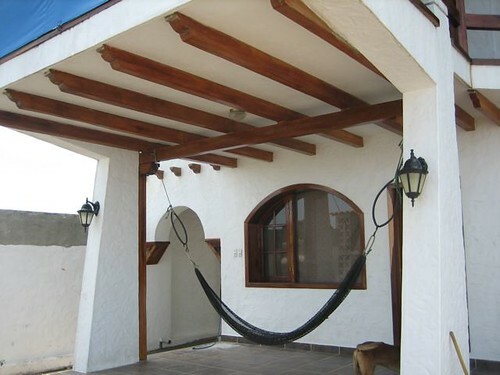 Join us and visit Ecuador beach property with our 2-4-1 tours this May and July. Our 2-4-1 offer expires at midnight April 30, 2009. 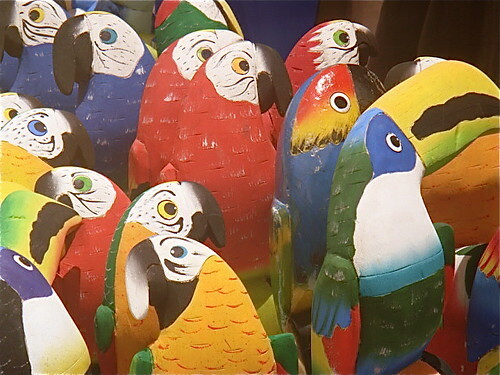 Ecuador crafts can provide opportunity for three reasons we’ll review here. 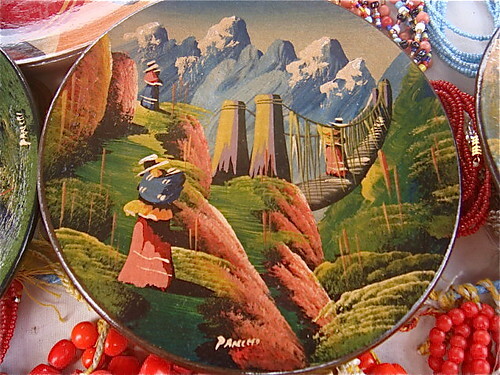 Ecuador crafts people are excellent in the crafts business. they start and learn early on. 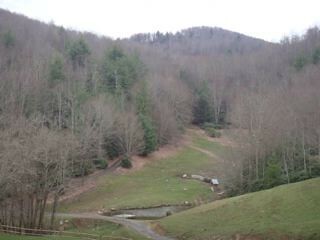 Merri and I have returned to our North Carolina farm for spring planting. The local wisdom is that lettuce, radishes, potatoes and onions should be planted on Good Friday. Everything else goes in on Mother’s Day. Things change slowly here in the mountains except the seasons. Spring really does jump out quickly here. One day the branches are bare. Next day there is a distinctive red blush as the buds have popped out seemingly overnight. You can see the red tinge in this shot I took from my office window yesterday. Saturday all we had in the lawn was green. Easter the dandelions were there. This makes me happy. 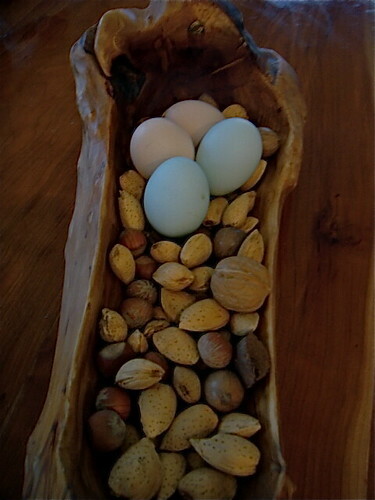 My favorites are the dandelion salad and the dandelion quinoa pancakes that Merri cooks for breakfast… topped with one of the great blue eggs that our hens lay. Here’s my morning collection sitting on the kitchen counter…waiting! While out collecting those eggs a thought about change… the change that’s going on… in the Western world… in the entire world, popped into my mind. Change comes suddenly… like the spring. One moment it’s not. Then suddenly it is. Yet really change isn’t sudden. 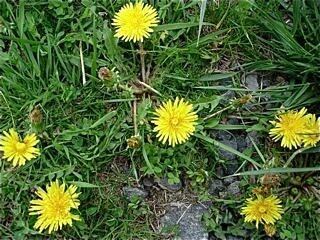 The forces that created the dandelions and the tree buds have been at work for quite some time. The physical manifestation that we see only seems sudden because we do not see the subtle shifts that are happening everyday that bring this explosion of apparent change. Take for example, yesterday’s message that showed how America’s debt has been growing and the US dollar falling since 1969. 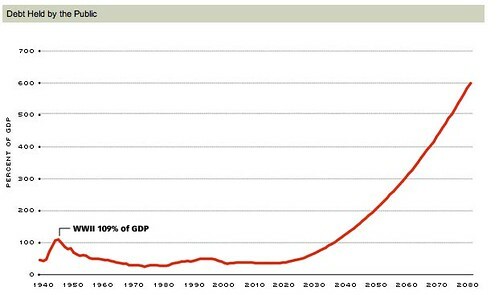 A further look at the graph from that message… with this new thought in mind… shows how the change really began in the 1940s… because since then… America has almost always been at war… the occupation… Korea… VietNam… the Cold War… Iraq… twice. Afganistan. This huge cost… plus others (such as Social Security) have created continual change… though it may seem that we are just seeing the big shift now. I have studied this change for 40 years. Just understanding the greenback’s fall has been enough to prosper… but this new thought crystallized an error. I have been studying the fall of the Roman Empire to see what I could learn from the past about our change now. Here is the error. I should have been studying who succeeded… and how after the fall. I will now study this and suspect here are a few of the rules that the Italians who thrived and prospered post Post Roman Empire. #1: They accepted the change and did not bury their heads in the sand. #2: They saw the change as an opportunity… and grasped it. #3: They moved to or already were in safe places out of any battle zones. #4: They did not display their wealth (the Latin habit to this day is to live within walled courtyards- modest outside- luxurious within). #5: They took risks based on fundamental distortions created by those who did not embrace change. This type of thinking shows why Ecuador crafts make sense from a business point of view. 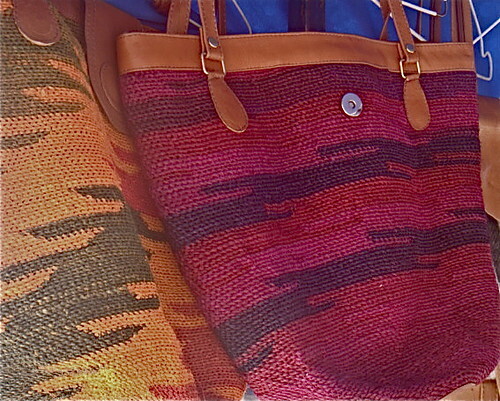 Shigra handbags made from agauve fibers and natural dyes. When ER goes off the air April 2, we will say goodbye to more than the medical staffers who have lived, loved and been tragically killed off for sweeps over the years. We will also say goodbye to the era of broadcast TV it represented: the era of big shows, big audiences and big money. In 1994, when ER debuted, NBC, CBS and ABC ruled TV. The fourth network, Fox, had no top-20 shows. Cable was flourishing but was hardly a threat. Only a handful of dorks (like me) were using “graphical user interfaces” like Netscape to look at something called the World Wide Web. Fifteen years later, the networks are, as the TV docs say, crashing. In the 1994-95 season, 43% of U.S. households, on average, watched the Big Four at a given moment in prime time. Now it’s 27%. Programmers and cultural critics are warning of the end of the mass-media era, when shows from I Love Lucy to Seinfeld joined tens of millions of Americans in a common experience. As we shift from the era of broadcast to broadband, we’ll no longer have an entire population mesmerized by the same performers, programs and modes of thought. 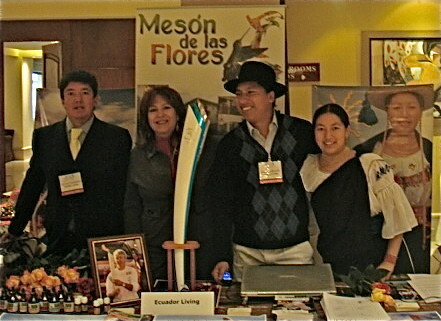 Smaller unique businesses with quality products such as organic Ecuador crafts produced by individual crafts people will thrive. 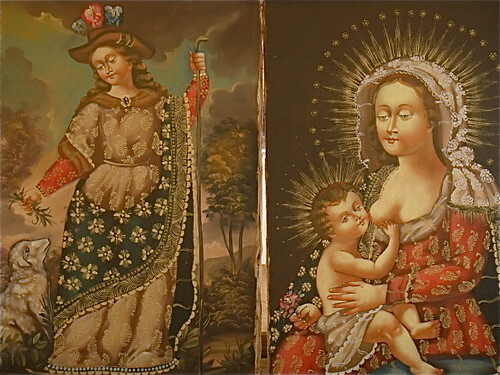 Ecuador crafts include some great art like these religious reproductions. 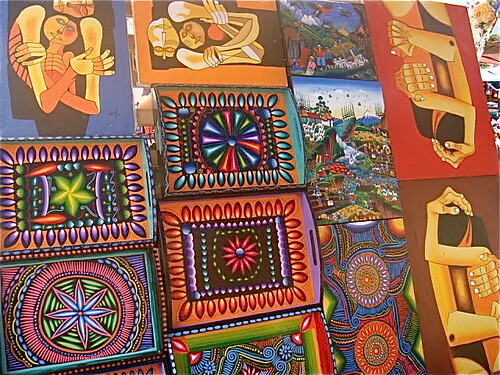 More Ecuador crafts and art we view on our Ecuador export tours. Ecuador crafts and art in woodwork. 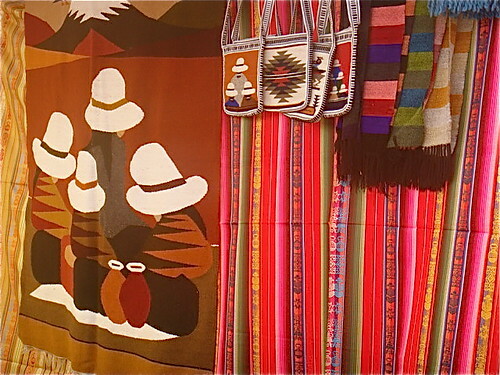 Ecuador crafts and art in textiles. 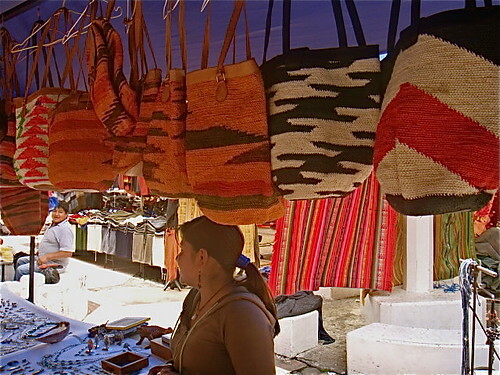 Ecuador crafts are perfect products positioned to sell well in the broadband era ahead… organic… authentic…colorful… exotic…useful and meaningful. 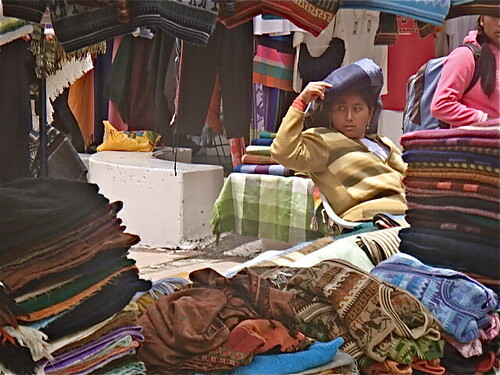 One does not have to be crafty to prosper from change… but many can prosper from more hand made crafts… from Ecuador or anywhere in the world. Until next message, may you prosper from change. In Ecuador we offer two 2-4-1 tours this May and June. The unemployment rate reached its highest level in a quarter-century after 663,000 jobs were lost in March, the 15th consecutive month of job losses. This created the 2-4-1 concept that offers a special opportunity for you. I cannot be in two places at once but I can make to possible for you to gain all the information I know and see what I am talking about for yourself by visiting Ecuador. 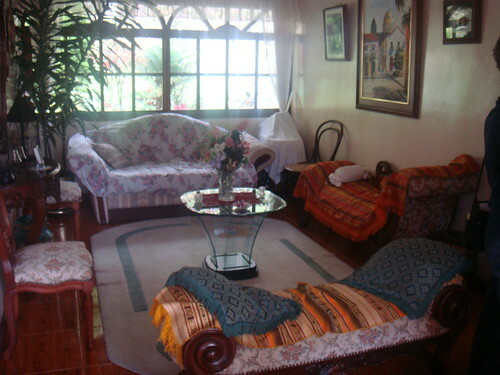 For example we have three Ecuador tours scheduled for May 2009. Merri and I will not be on these three tours and we do want to meet you. So to make sure we can meet, we will let you attend these either one of the May real estate tours free if you enroll in one of our three International Made EZ courses, in July, October or November. There is no need to hurry either. If you are not sure about attending two tours, sign up and attend the real tour now… then we’ll knock the tour fee off our IBEZ Cotacachi + Tangled Web course fee later. You can also still take advantage three course discount as well. For example, if you choose to attend all three of the May tours… both real estate and the Amazon herbal tours, then you can attend our July, October or November course free. You can see some options below. These three May 2009 Ecuador real estate tours are hosted by Alberto Verdezoto (a long term friend and guide as well as an expert on herbal medicine from the Amazon) and our staff. Here is Alberto leading our last real estate tour on the coast. You could not be in better hands. Alberto was in the Ecuador travel business for more than 10 years and has been our main real estate researcher for three years. 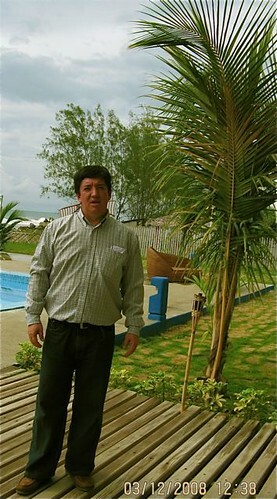 He has helped us find most of the good Ecuador property deals and is doubly helpful because he bargains down the price! On the coastal real estate tour, you’ll see these houses near the beach for $19,500. 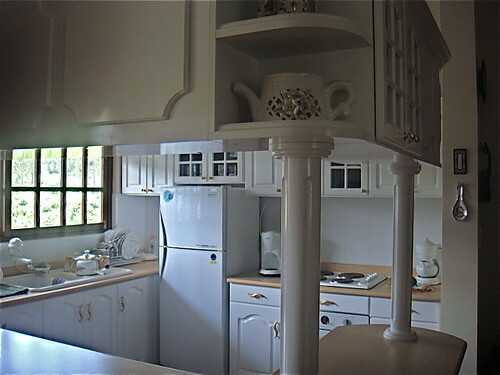 Here is an interior shot. 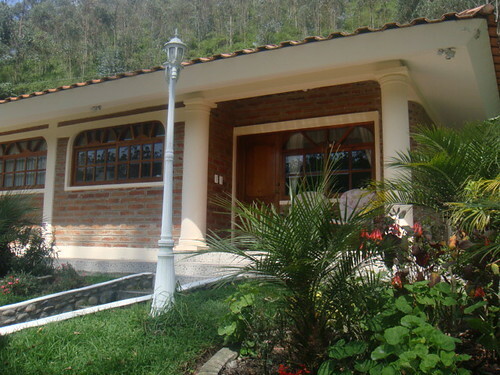 Plus on the Imbabura – Cotacachi real estate tour we’ll see these excellent houses. 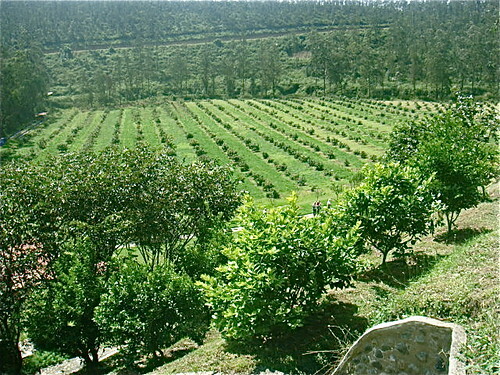 Plus on the Imbaburra – Cotacachi real estate tour we’ll look at (unless it has sold) a really well organized 12 acre avocado farm just minutes from Ibarra. The owner has returned to Loja. Here is the entrance. The avocados are flowering for their first crop. Asking price with these two houses, land and crops is $260,000. Or sign up for two or three of the May 2009 tours and attend any of the IBEZ Cotacachi + Tangled Web FREE.